Considered a must-have decoration for many who celebrate Christmas and open gifts with loved ones each year, the Christmas tree’s interesting history most likely dates back at least two millennia. “Christians weren't the first to admire and decorate Christmas trees,” said Deemer Cass, Christmas tree and decorations expert at United Kingdom-based company, Fantastic Gardeners. “The tradition started more than 2,000 years ago when pagans used to worship evergreen trees as a symbol of fertility,” Cass told AccuWeather. With the Christmas tree’s lengthy history comes a number of fascinating facts about this popular holiday staple. 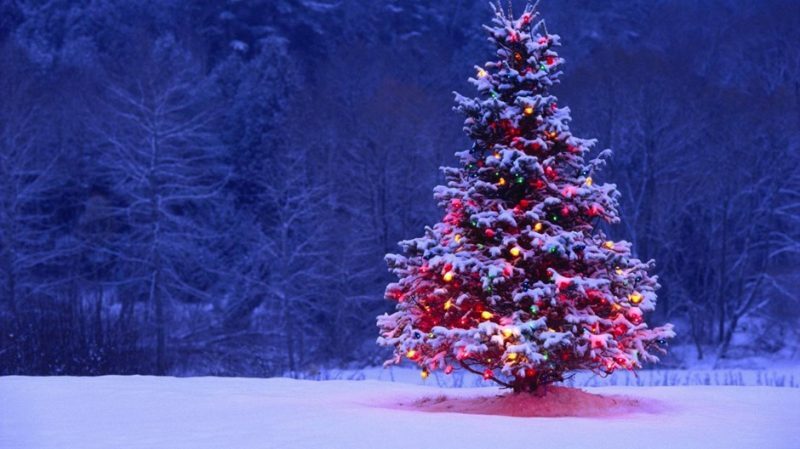 Below are 10 facts about Christmas trees. 1. The Nordmann Fir is considered the leader among Christmas trees. The Nordmann Fir has been a popular Christmas tree choice in Europe for a number of years and is gaining momentum in the United States. “It's preferred among other evergreens due to its excellent needle retention, the softness of the needles and how it's perfect for people with allergies,” Cass said. The tree’s lack of the usual Christmas tree aroma makes it ideal for those who aren’t able to tolerate the fragrance, according to HolidayTreeFarm.com. 2. Ninety-eight percent of all Christmas trees are grown on farms. About 350 million Christmas trees are currently growing on Christmas tree farms in the U.S., the National Christmas Tree Association reported. Only 2 percent of Christmas trees are cut from the wild, according to the University of Illinois. 3. Christmas trees can host thousands of bugs. When bringing home a fresh Christmas tree, you might very well be unknowingly toting along a number of unwanted critters. “Christmas trees are a home to a lot of insects and microorganisms, so when you bring one home, make sure you shake it thoroughly before bringing it inside,” Cass said. 4. The U.S. has nearly 15,000 Christmas tree farms. More than 100,000 people are employed in the Christmas tree farming industry, according to the National Christmas Tree Association. 5. Decorating Christmas trees with lights began with Martin Luther. Sixteenth-century Protestant reformer Martin Luther is credited with being the first to add lighted candles to a tree. While walking home one winter night, he was intrigued by the brilliance of stars twinkling between the evergreen trees, according to History.com. He recaptured the sight at home for his family by erecting a tree in the main room and wiring the branches with lit candles. “[Luther] suggested attaching candles to the branches, which became quite popular until the electric fairy lights were invented,” Cass said. Edward Johnson, Thomas Edison’s assistant, came up with the idea of electric lights for Christmas trees in 1882, according to the University of Illinois. 6. Artificial Christmas trees originated in Germany. During the 19th century, artificial trees were developed in Germany and later became popular in the U.S., according to the University of Illinois. They were constructed using green-dyed goose feathers that were attached to wire branches. Those branches were then wrapped around a central dowel rod that served as the tree’s trunk. 7. There are eight leading Christmas tree-producing states. Oregon, Washington, Wisconsin, Michigan, Pennsylvania, New York, Virginia and North Carolina are considered the top Christmas tree producing states in the U.S.
8. Christmas trees were once hung upside down. The tradition of hanging a Christmas tree upside down from the ceiling is an old one that originated in Central and Eastern Europe, according to TheSpruce.com. Upside-down Christmas trees are reportedly common among many Slavic groups. “It's still rather confusing how and why this tradition started,” Cass said. 9. Many people recycle their real Christmas trees. The U.S. has more than 4,000 Christmas tree recycling programs, and the trees have been used to make sand and soil erosion barriers and placed in ponds to provide shelter for fish. 10. A Christmas tree can take up to 15 years to reach typical height. The typical height of a Christmas tree is about 6 or 7 feet, according to the National Christmas Tree Association. It can take as little as four years to reach this height, but the average growing time is seven years.